MacKenzie Commercial Real Estate Services, LLC is pleased to announce the sale of 7205 Rutherford Road, a 25,000 square foot, single-tenant net leased office building situated in the Rutherford Business Park. MacKenzie’s Senior Vice President/Principal Don Schline and Vice President Michael Spedden arranged the sale on behalf of the owner 7205 Rutherford, LLC and purchaser, F&M Development, LLC. Part of the two million square foot Rutherford submarket which includes 64 buildings that are 90% leased, the building is currently undergoing complete tenant improvements which will transform the space into a Class A highly functional office and headquarters facility for the National Center on Institutions and Alternatives (NCIA). New build-out will also include a barbeque restaurant that will serve as a career development center that provides NCIA clients with job readiness skills and individualized training. 7205 Rutherford was constructed as a build-to-suit school facility for the NCIA in 1999, a not-for-profit entity that works to break the destructive cycle often associated with the human service and correctional systems. The organization provides individual care, concern, and treatment for intellectual and emotionally disabled youth and adults and those involved in the criminal justice system. 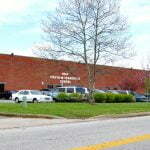 NCIA has been in operation since 1977 and also occupies 30,000 square feet in two other buildings located in the Rutherford Business Park which accommodate different educational programs and career development. “NCIA’s track record and mission gave MacKenzie the ability to blend the traditional disposition process with the opportunity to identify investors interested in both a reasonable yield and a socially responsible investment,” stated Don Schline. For investment sale inquiries, please contact Don Schline, dschline@mackenziecommercial.com or 410-494-6648, or Michael Spedden, mspedden@mackenziecommercial.com or 410-494-6644 of MacKenzie Commercial Real Estate Services.